The ladies fellowship group is known as "Sonshine Sisters" and it is our desire that people will see the Son shine in each of us and as being a group of ladies, we are like sisters. Our motto is "Connecting Church & Community". We enjoy the time we spend together. We are a group that will welcome any lady that would like to join us, whether it be your first time or any time thereafter. We plan many things throughout the year. We are a busy group of ladies, but you can just get involved where you would like. 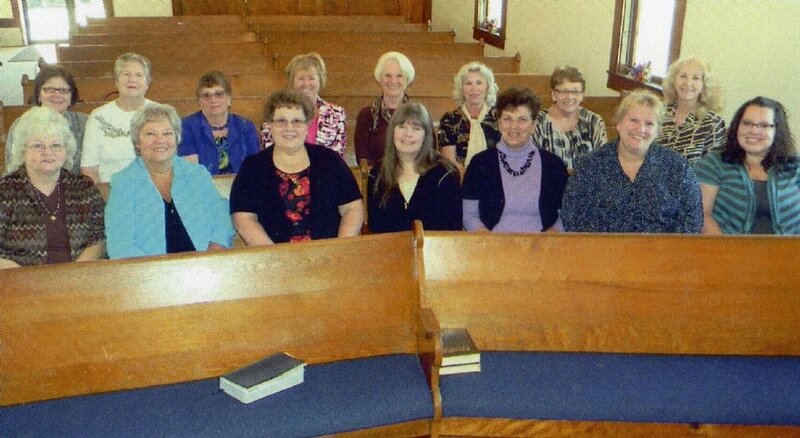 Our ladies fellowship began in 2010 and we have done lots of things in the community such as fundraisers, help with community food pantry, participate in the annual "Relay for Life", donate items to Carroll Co. Schools periodically and various other things. Our newest ministry of "Connecting Church & Community" is our annual Dinner Theatre. We had our first one in September 2014 and it was such a success, we are planning another one for September this year. This is just a little about who we are. We hope you will join us when you can. Be watching and listening in the community about the "Sonshine Sisters" of English Christian Church. If you would like to have more information, go to our "Contact Us" tab above.